We went back to the 6th Avenue Farmer’s Market today, but I had already used that as my place of the day. When I looked around, I realized the market was right smack in front of Engine House No. 9 (E9) . I love E9! It is a restaurant/brew pub situated in a beautifully restored 1907 fire station. 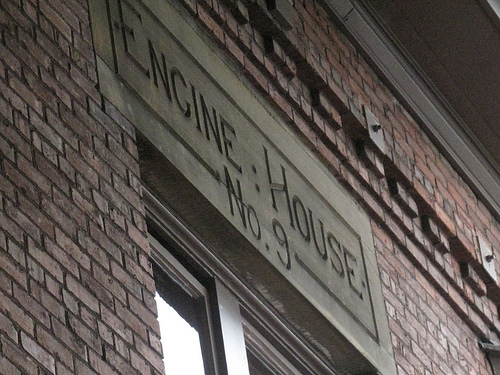 The Engine House moved out of the building in 1965 and it was remodeled as a tavern in 1973. The property was placed on the national historic register in 1975. Microbrew beer was served here as of 1984 and it became the first non-smoking tavern in Pierce County in 1992. 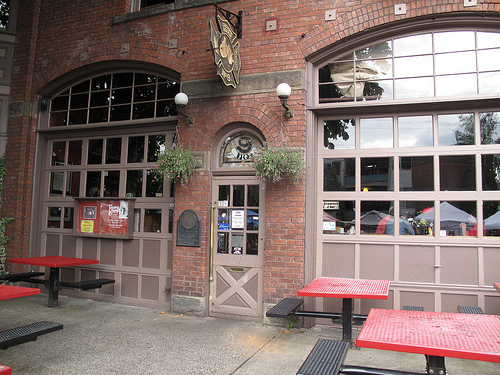 This entry was posted in Historic Sites, National Historic Register, Restaurants, Sit Down Establishments, Tacoma, WA State - Pierce County and tagged 6th Avenue Farmer's Market, beer, brew pub, E9, Engine House, Fire Station, microbrew, national historic register, No. 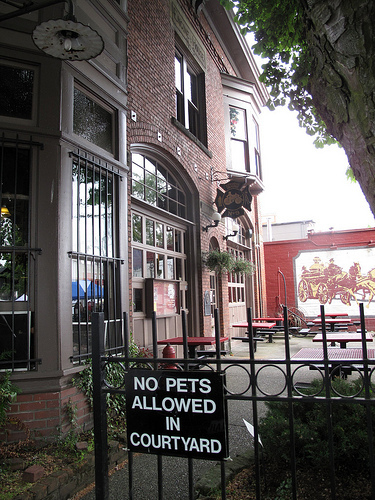 9, non-smoking, pub, restaurant, restored, Tacoma on June 14, 2011 by admin.